I have an Adult sized Unicorn for Adults, Elders, and Teens with 2 ride gaits, it also will graze, eat and play a light whinney sound. The pony sized unicorn is for children it has only one ride option with the graze, eat and a pet option. 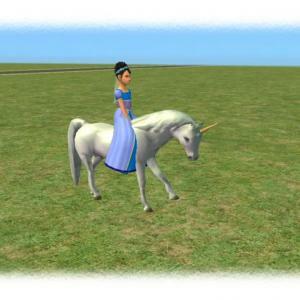 The unicorn has to be placed heading north, for the Sims to ride it correctly. That is north from where the lots sits within the neighborhood. 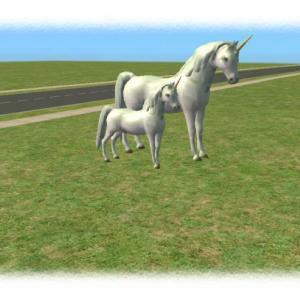 Body skill and fitness is gained when sims ride either of these unicorns. Both items are found under Knowledge/Exercise Equipment. Thanks to Rougue for the texture, and Shaklin for her original rideable item. I cant dowload it !? I cant dowload it ! ?Why !? You might need to use a different web browser? I checked and the file is working. I did log in first, yes. You have to log in to be able to download. Yea. Anyways, my friend comes over every now and then to play and shes been dying to get this!! Can't wait to download it! i have downloaded it and it's not on my sims 2 game. i cant dowload **** <language filter>!?? Just click the download button, then select the file you want to download. 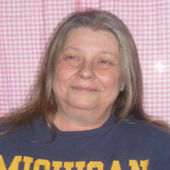 If you are using IE for a web browser, get google chrome. Do you need pets to have this? I believe this doesn't require any EPs but I'm not positive on that.